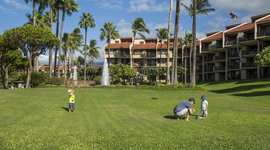 This gorgeous resort is a garden Oasis in South Maui, with fields of palms and flowers that stretch out to Kamaole Beach Park III, across the street. 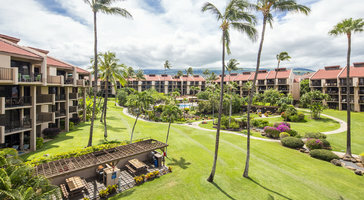 You can walk to two restaurants situated right on nearby Keawakapu Beach – 5 Palms Restaurant and Sarento’s on the Beach. 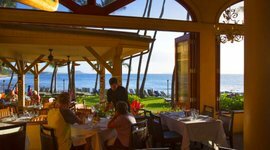 To the north in Kihei, you’ve got a number of local spots in walking distance including Fred’s Mexican Cafe and Maui Thai Restaurant. 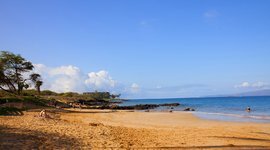 There’s plenty more up the road in Kihei. 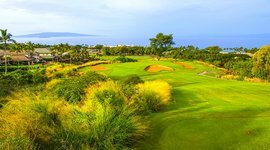 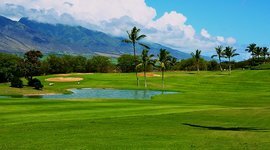 If you’re into golf, you’re about five minutes from both Wailea Golf Club to the South and Maui Nui Golf Club to the north.